BSGS: Tell us about your professional experience with colorectal cancer screening. Dr. Reichelderfer: I'm a gastroenterologist practicing since 1979 and actively engaged in colon cancer screening. I'm also a member of the UW GI group. BSGS: What do you say to patients who are hesitant to get screened for colorectal cancer? Dr. Reichelderfer: In my experience, few patients are hesitant to be screened. Most know that screening works and that colon cancer is a horrible disease worth being screened for. BSGS: What are some common objections to colorectal cancer screening? How do you address them? Dr. Reichelderfer: Colonoscopy is somewhat daunting considering the instrumentation and preperation. However, it is usually just a matter of talking the patient through the process. 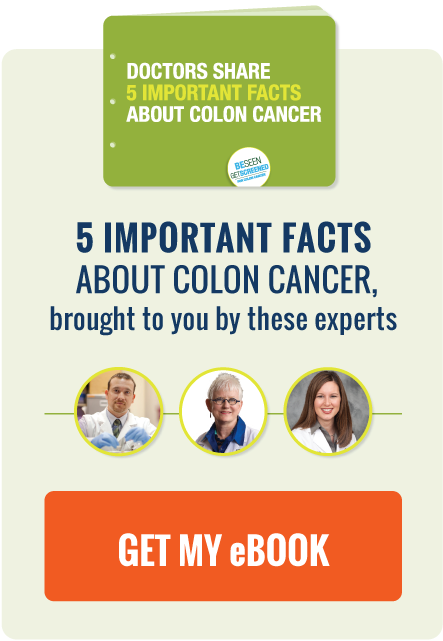 BSGS: What one thing should everyone know about colorectal cancer screening? Dr. Reichelderfer: The main thing to know about colon cancer screening is that it works! As opposed to lung or prostate screening, or even breast in terms of age of beginning screening, there is no controversy about colon cancer screening - it works and saves lives!